Philadelphia jeweler Craig Drake is closing after 49 years in business, according to a local news source. Braunschweiger Jewelers recently opened its New Providence, N.J., store, located in the same shopping center as its original site, after five years of construction. The 3,300-square-foot space boasts collections from David Yurman, Rebecca, Elle, and more. Craig’s Fine Jewelry of Ridgefield, Conn., celebrated its 60-year anniversary in October 2009. 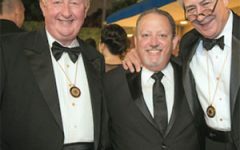 Lee Havens, who had operated Lee Havens Fine Jewelry in Palm Beach, Fla., has been charged with allegedly faking a $5.6 million robbery at his shop last January to defraud his insurance company, according to a local news source. Huge crowds recently attended the Treasure Chest promotion at the Cartersville Jewelry Exchange, in Cartersville, Ga. The promotion offered the chance to win three pairs of 2.00 ct. diamond stud earrings. Ten percent of the day’s proceeds went to the Intrepid Fallen Heroes Fund, which helps the families of injured soldiers. 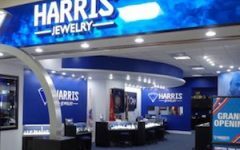 Mednikow Jewelers is closing its Phipps Plaza store in Atlanta. Its Memphis store will remain open. Jules R. Schubot, Troy, Mich., founded in 1917, has filed for bankruptcy. A going-out-of-business sale through February is planned, according to a local news source. Standt’s Fine Jewelry, in Muncie, Ind., is closing this month after 74 years, according to a local news source. Mikimoto opened a new Crystals boutique at CityCenter, in Las Vegas. The store’s theme is The Deep Blue Sea. For more information on jewelry retailers in your neighborhood and throughout the country, check out the regular “Retail Reports” at JCKonline.com.